Monster Adventure is a quest that never came out: and we have the scoop! A logo was found, hidden inside an old file from Poptropica, of a what looks like quest. The logo reads “Monster Adventure”, with two stylized fonts. From there, it’s obvious that the ‘Monster’ portion of the logo is taken from the Fact Monster logo. 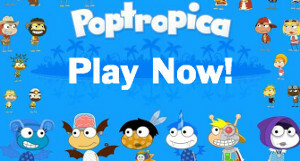 Fact Monster is a site owned by FEN (of which Poptropica was also owned at one time), and is an online children’s encyclopaedia. 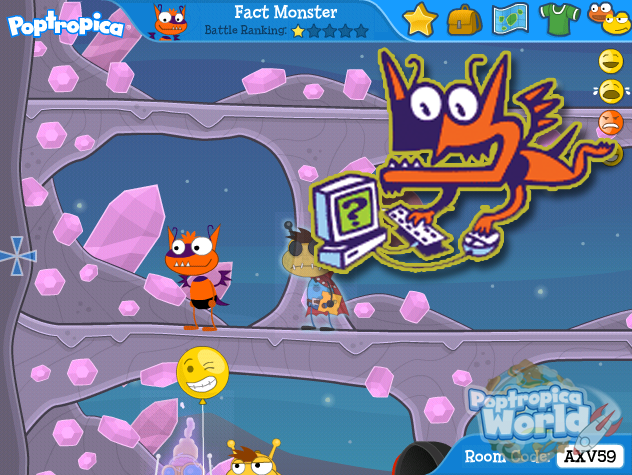 Rumours of a Fact Monster creator were amidst early in Poptropica’s history, and so the correlation is obviously more than a coincidence. In fact (pun not intended), an actual costume was made for Fact Monster, although was only formally released to the store years later (with some colour alterations). The costume was around before, however – this screenshot proves it – note the toolbar from 2009. The “Fact Monster” name prefix proves the Fact Monster character playing a role in an island even more – usually creators make accounts based on characters (i.e. Dr. Hare or Black Widow). One last piece of the puzzle – There were multiple monster like attributes leaked from common rooms in 2008. While at the time they were though to be from Monster Carnival, they more so matched Fact Monster features. They are now all released in the store along with the Fact Monster costume as the “Furry Monster” cards. So, were they planning on making a Fact Monster quest or even island titled Monster Adventure? That is yet to be revealed.